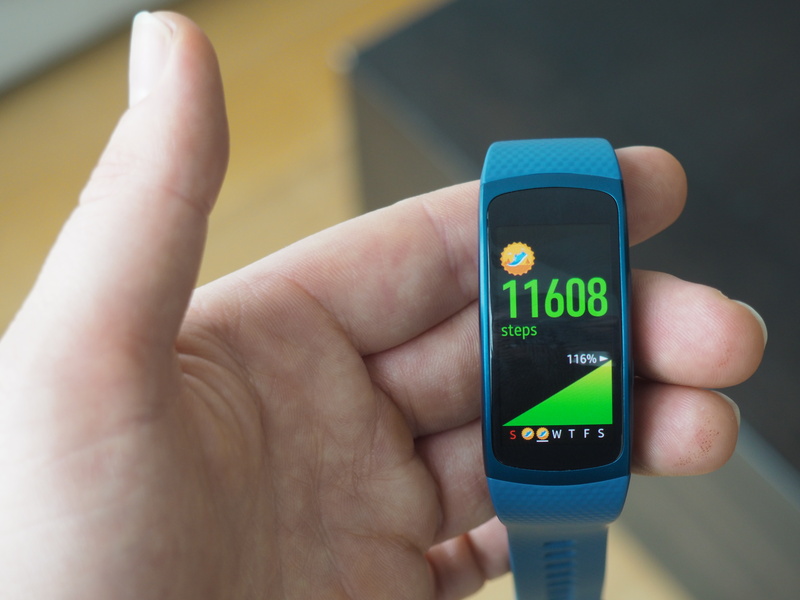 The field is getting mighty crowded, but Samsung’s not backing down from its big fitness push. 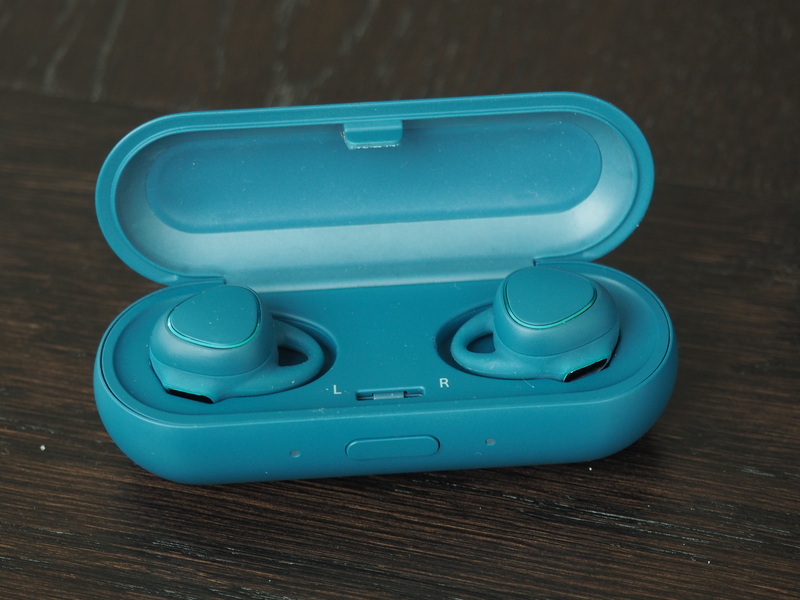 Today the company is unveiling two new wearables — an update to its Gear Fit activity tracker and the IconX, a pair of completely wireless earbuds aimed at runners. The company kicked off a pre-briefing with a little marketing information, detailing the fact that fitness bands currently comprise more than 50 percent of the wrist-worn device market. That’s an important bit of information for the company as it justifies keeping a devoted fitness device around as it continues to build up its smartwatch offerings. Like the Gear S2, the Fit2 is designed for all-day wear. 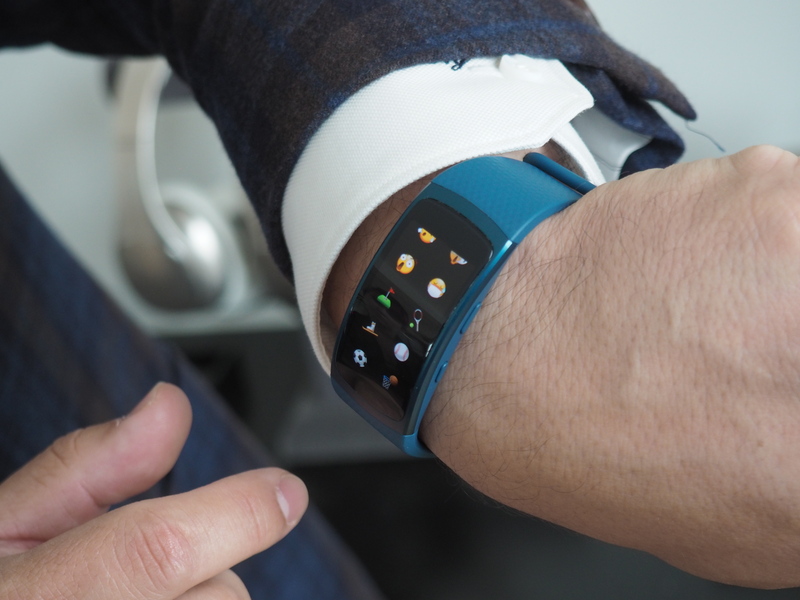 Thankfully, Samsung’s gone a long ways toward making the wearable more — you know, wearable. This is in part because of a thinner design and a more curved 1.5-inch Super AMOLED display that does a better job conforming to the wrist. Samsung’s also offering up the tracking in two different sizes in an attempt to appeal to male and female users alike. Even after a brief demo, I can confirm that it is indeed more comfortable than the last generation. Whether that extends to wearing the thing all day and night, however, is another question entirely, but I’ve been assured by Samsung that we’ll be getting our hands on a full-fledge review model in the not too distant future. And speaking of wearing the thing all day and night, Samsung’s promising three to four days of use on a charge. The Fit2 has a built-in heart-rate monitor and GPS, so wearers can track their route even when not tethered to a smartphone. There’s also 4GB of built-in storage designed to store music offline like one of those old-fashioned iPod dealies. The company has also made a deal with Spotify to offer playlists built to fit the small screen — though there’s no offline caching there yet, even if a company spokesperson did make it sound like the feature is in the works. There’s also auto multi-sport and sleep tracking, dropping the need to tap a start button when you want to track a specific task. No word on iOS compatibility, but it’ll work with phones running Android 4.4 and above. It’s up for pre-sales tomorrow, priced at $179, with in-store availability starting on the 10th. The IconX is arguably the more compelling of the two new pieces of hardware. In fact, the headphone caused a bit of a stir when renders surfaced well ahead of the official announcement. 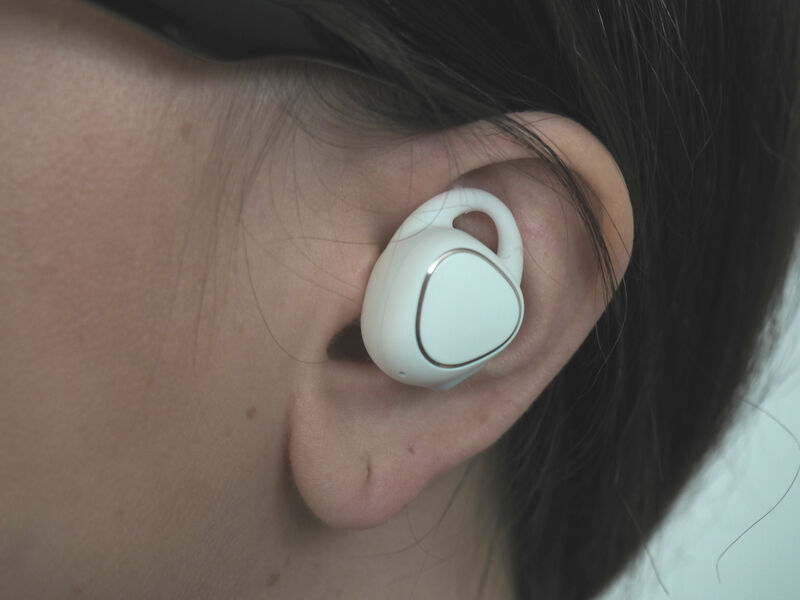 After all, up to now, fully wireless earbuds have been something of a niche device. Cutting the tether between them means having to have separate radios and batteries for each ear. And that, naturally, entails some sacrifice. In the case of the IconX, that means some dismal battery life, at around an hour and a half when connected and playing music, according to Samsung’s numbers. That’s likely a big part of the reason the company is positioning it as workout-only. The IconX are designed to head to the gym with you and then swap out with a standard pair of headphones when you get home. In other words, Samsung’s first truly wireless Bluetooth earbuds are niche products by design. The headphones also feature 4GB of storage, so, as with the Fit2, you can take them on a run without the phone. The IconX will be priced at $199 and are set to start shipping in Q3 of this year.